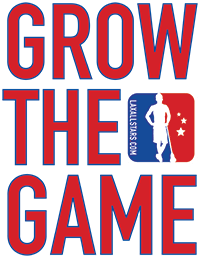 The National Lacrosse League released their Plays of the Week for Week 8 of the 2019 NLL season. Week 8 featured some incredible Plays of the Week, including insane goals, incredible saves and some major hits. Watching these highlights already has us salivating for Week 9. Speaking of Week 9 of the NLL, check out our Week 9 Power Rankings by the Lacrosse All Stars team. See who took the top spot and where each team ranks here. The video can also be viewed on the NLL’s website here.